One of my favorite things about working with WeAllSew.com and Through the Needle ONLINE magazine is seeing all the amazing things you – our readers – are sewing. I get so inspired! Here’s an awesome item from one of our talented readers, Genette McKnight. 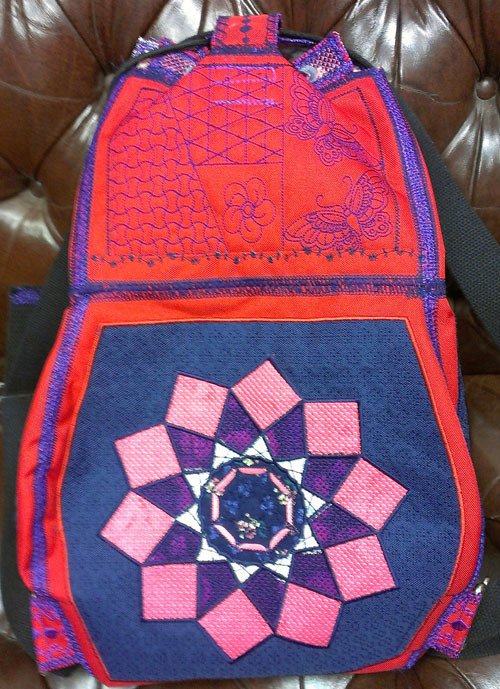 Here is a backpack that I designed for my granddaughter. Mandela is a word of Sanskrit that means circle. 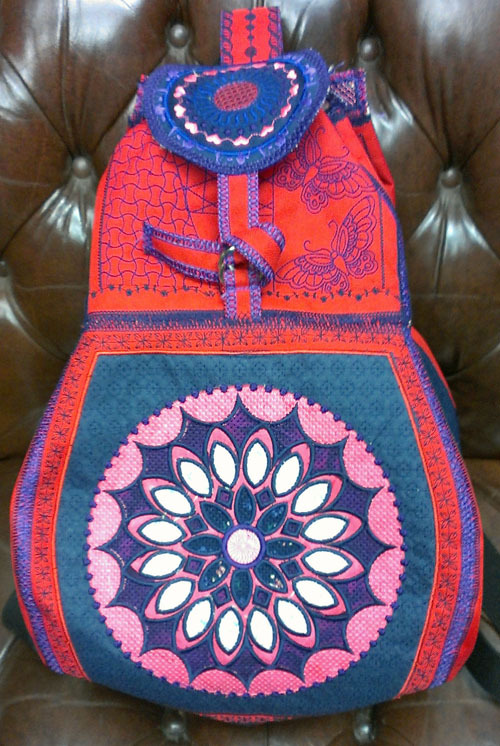 I used this as the theme for this backpack because my bags are meant to be used for a lifetime and I wanted my granddaughter to have something that she could grow with. I digitized the designs with BERNINA Embroidery Software 6 and also used designs from OESD. Each side is a different mandala. The large mandalas were made with the wreath tool. I used the appliqué tool to appliqué these and then machine embroidered on top of them for strength and texture. The small one on top I digitized using circles and pattern embroidery stitches. 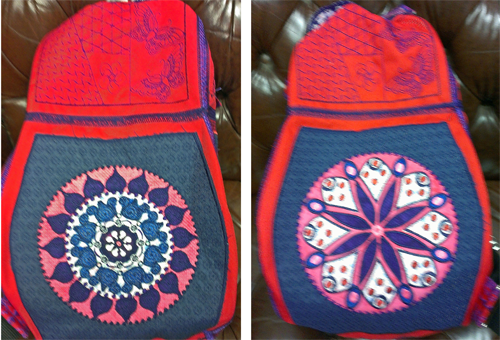 I put the bag together with more embroidery stitches on a sewing machine. 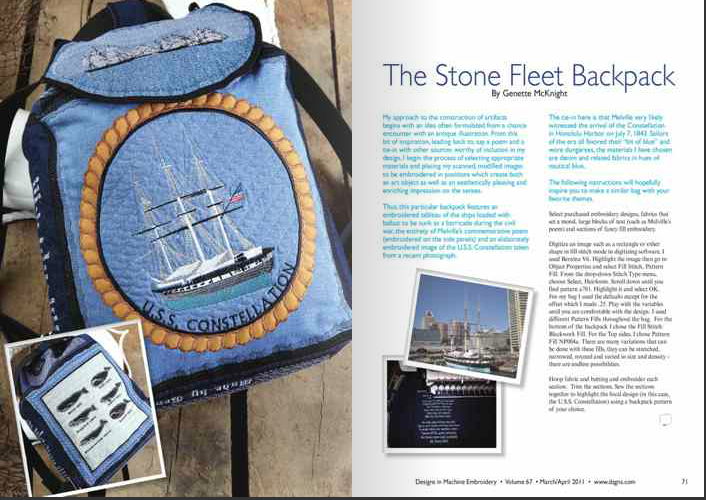 Check out more of Genette’s work in Designs in Machine Embroidery magazine, volume 67! Next Next post: Alt Design Summit or Bust!